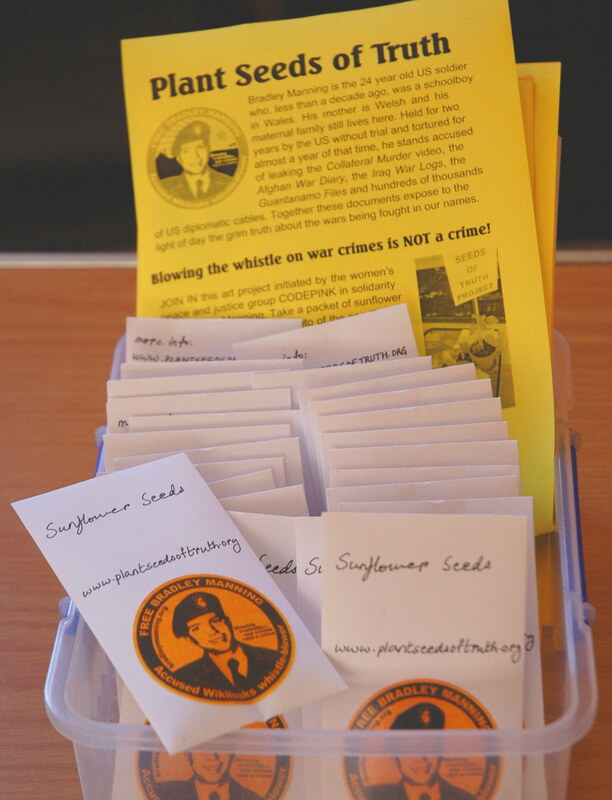 Marking the anniversary of the day Bradley Manning was detained by the US two years ago – on suspicion of sharing the grim truth about US wars with WikiLeaks who went on to share it with the world – here in Wales we took the Plant Seeds of Truth: Free Bradley Manning project to a seedling swap Bala in Gwynedd and encouraged people to take a packet of sunflower seeds and be part of this collaborative political art project. Although a few of those attending were well informed about Bradley’s case, many had never heard of him before or had no idea about his Welsh connections; one or two had not heard of WikiLeaks. 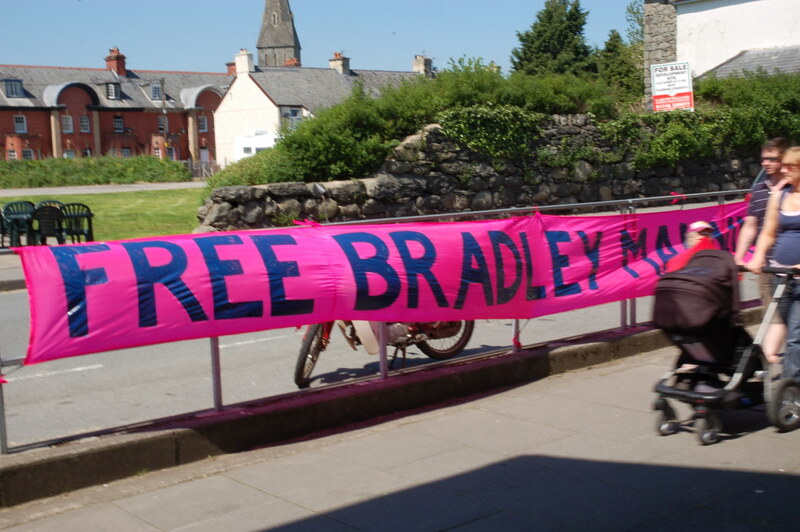 We also put up our (newly repainted) Free Bradley Manning banner on busy Bala High Street for the duration of the event. Anyone can take part in the project: sow a sunflower seed, take a photo when the seedling is a few inches tall and again when it blooms. Then send your photos, along with details of where in the world you live, to priticodepink@gmail.com. The final exhibition will be installed at Fort Meade, Maryland, US during Bradley Manning’s court martial. 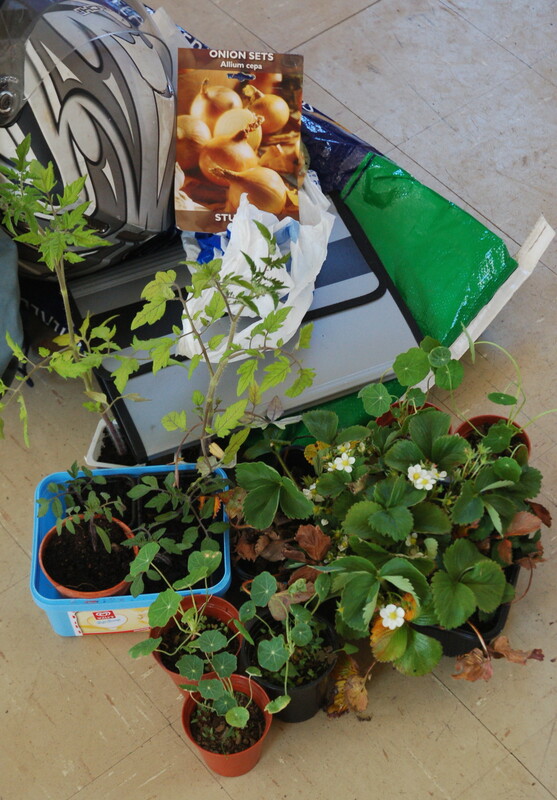 If you would like seeds sent to you, contact wiseupforbm@yahoo.com. 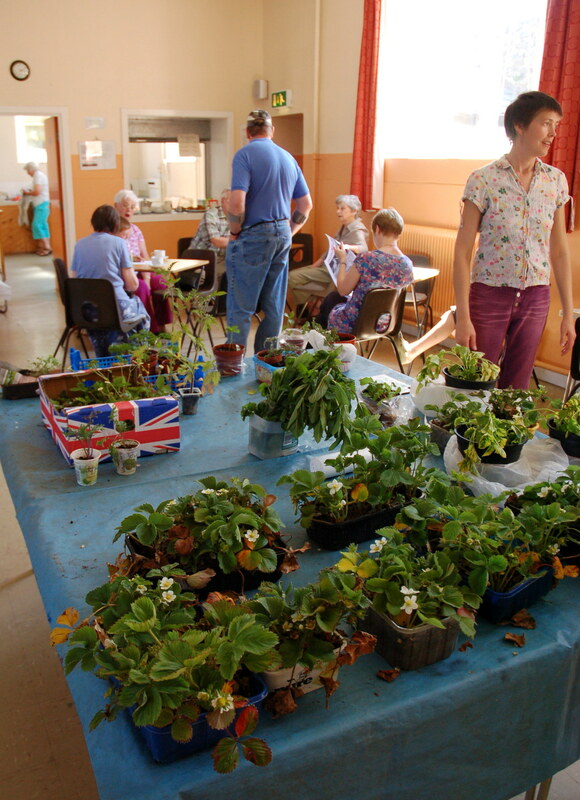 Gallery | This entry was posted in Manning, Reports and tagged art, Bala, Bradley Manning, CODEPINK, Plant Seeds of Truth, solidarity, US, Wales. Bookmark the permalink.